More than 60% of the world’s whale population can be found in Australian waters, and each year between May and October, thousands of whales make an annual journey from frigid Antarctica to give birth and raise calves in the (relatively) warmer waters off the coast of Australia. 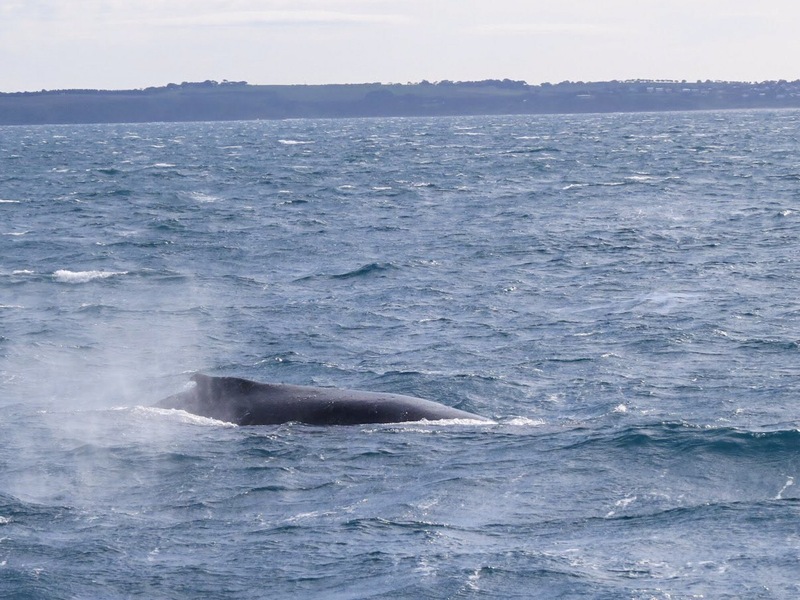 The odd whale is regularly seen from coastal Melbourne/Victorian suburbs, but to get really close to them, you need to do a whale-watching boat tour. 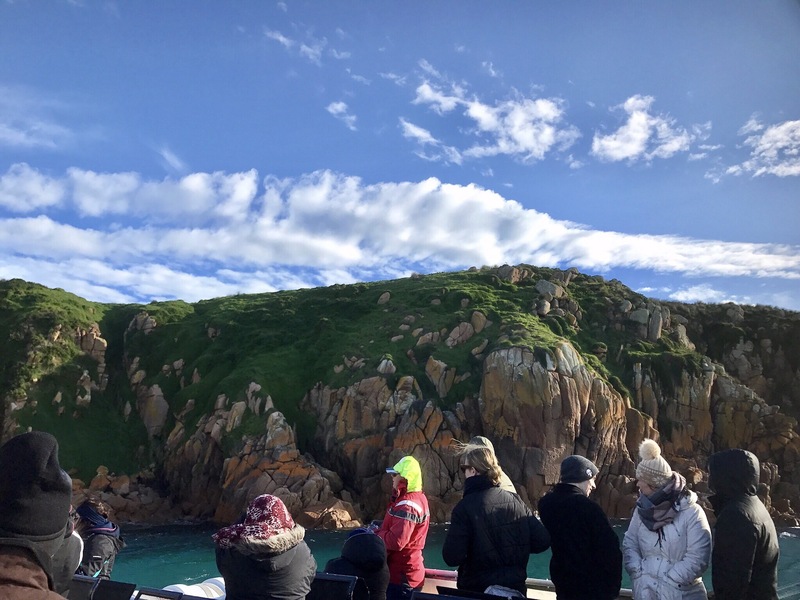 The tours out of Cowes on Phillip Island are quite popular, so we had to book weeks in advance with no idea what the weather would be like on the day. Just our luck then that we received a call the day before notifying us that the departure changed to San Remo (on the mainland) due to strong winds, promising a wild 4-hour tour. With temperatures hovering around 6C and the windchill making it feel like -1C, we rugged up in many layers and left the jetty at 9:30am with more than 50 passengers on the Kasey Lee: a 16m catamaran operated by Wildlifecoast Cruises. 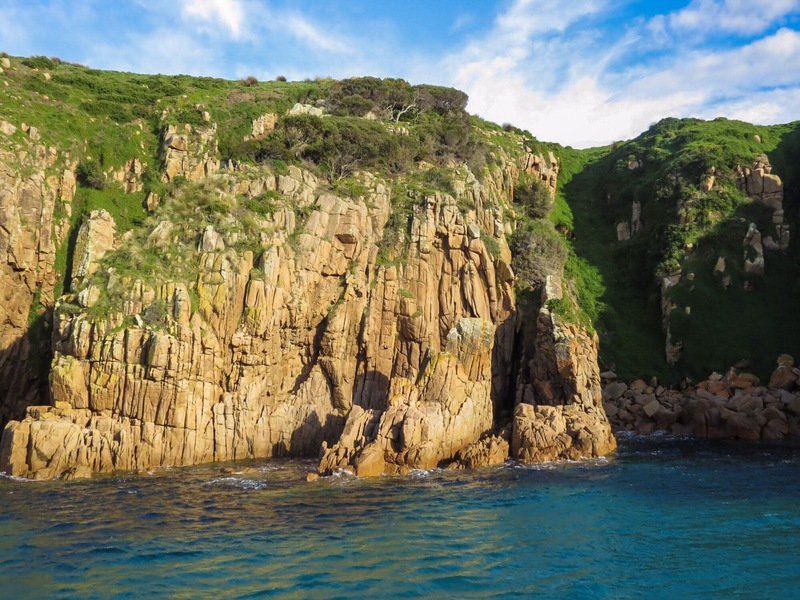 We headed out to Bass Straight and travelled along the southern coast of Phillip Island, admiring the red granite cliffs and a multitude of birds, including albatrosses (perhaps Shy? 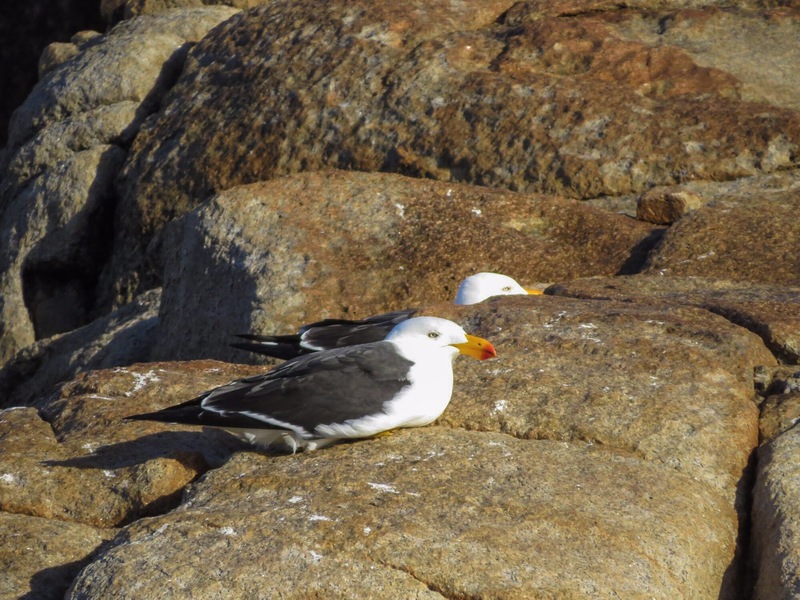 ), gannets, terns, gulls, and a Wedge-tailed Eagle (!). Still, an hour later, and there was no sign of any whales. To say that the seas were rough, would be an understatement. The strong northerly winds were sustained at over 50kmph, producing very choppy conditions. Passengers on the upper deck were regularly drenched by spray as the boat ploughed bow-first through high waves. The boat constantly rolled from side to side, becoming worse when we slowed to look for whales. Passengers were either falling over (not overboard, thankfully!) or throwing up, and still, no sign of any whales. 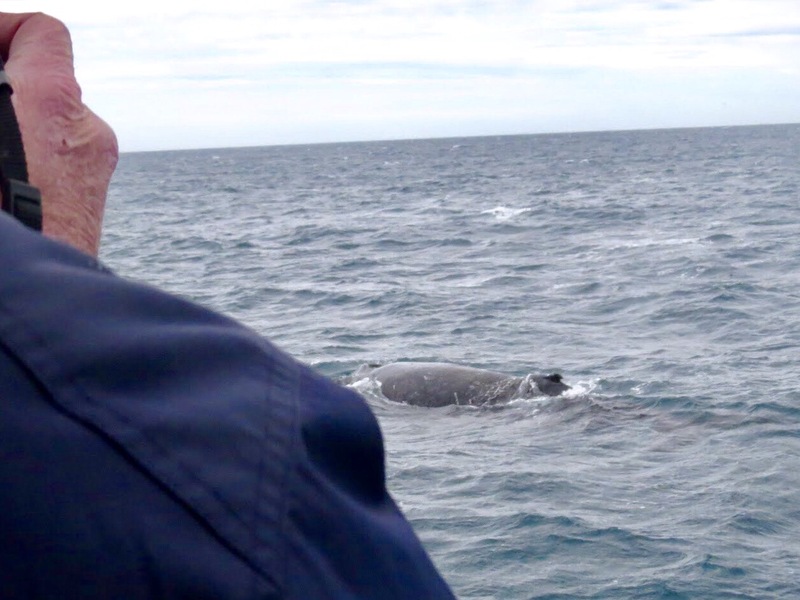 Almost two hours in, the boat slowed suddenly, and someone called out “whale at 2-o-clock!”. Finally, we spotted our first Humpback Whale of the day. We spent the next half an hour tracking the beast as it came up for air, swam under the boat, and reappeared on the other side. All passengers crowded the decks, cameras and phones pointed out to sea, with their sea-sickness immediately dissipating with the burst of adrenaline. 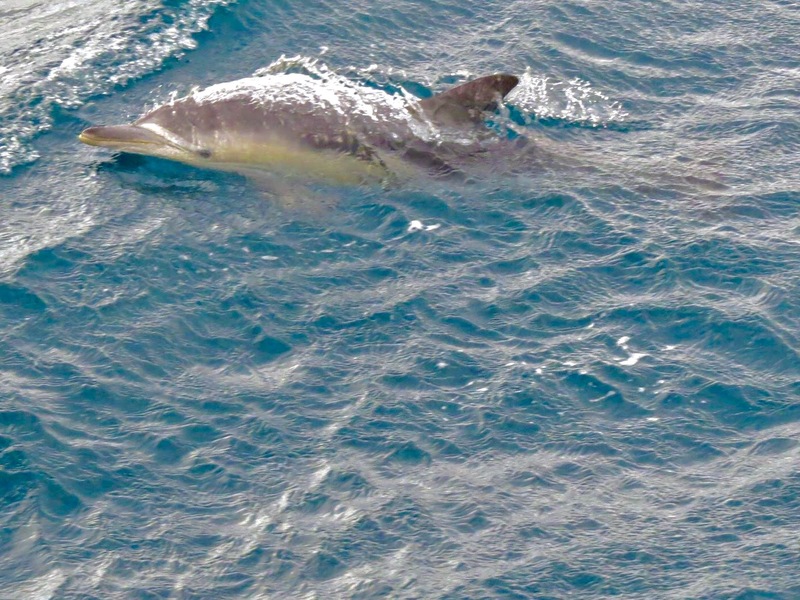 Quite unexpectedly, a pod of Common Dolphins appeared and started to play (?) with the whale, jumping in long arcs over the whale’s head and tale. 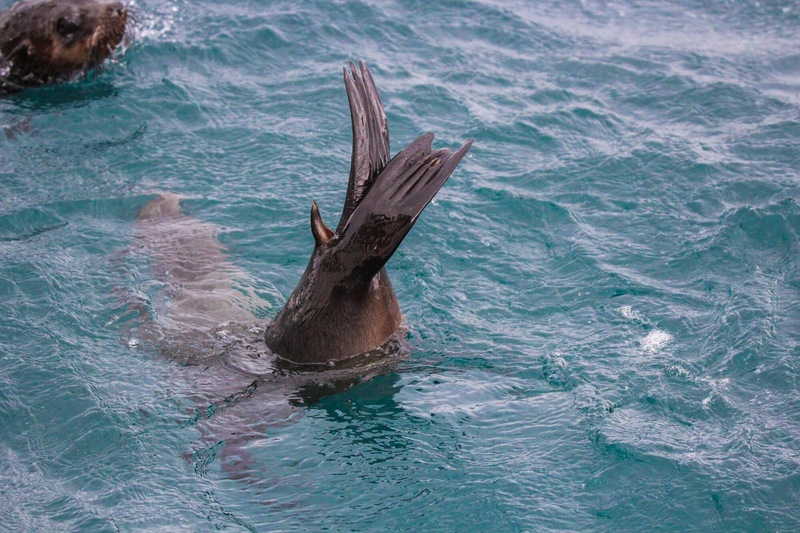 Then a pair of Australian Fur Seals also appeared to join in the fun (?). With the heavy rolling of the boat, we just couldn’t get the camera to focus, so the only image we have is the one etched in our memories. 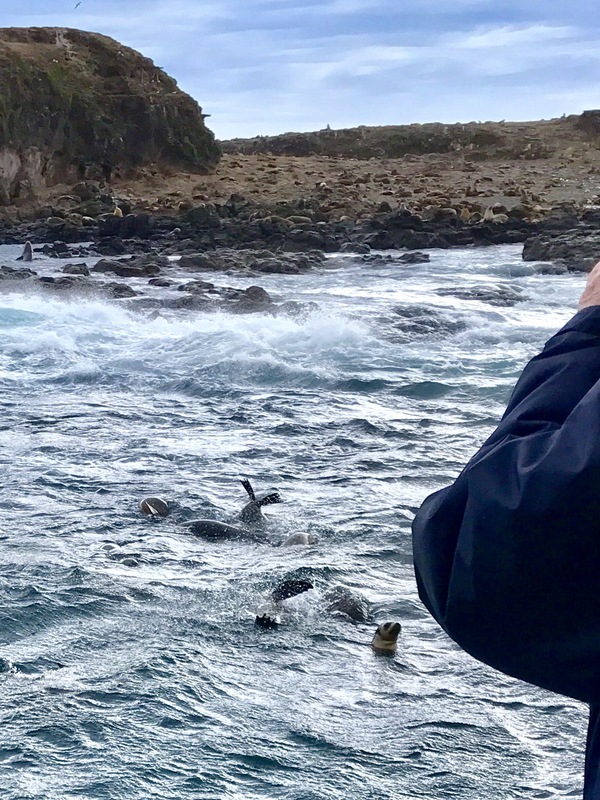 When the whale disappeared from view, we travelled another 30mins west to Seal Rocks, where we interacted with the resident population of Fur Seals for a quarter of an hour. 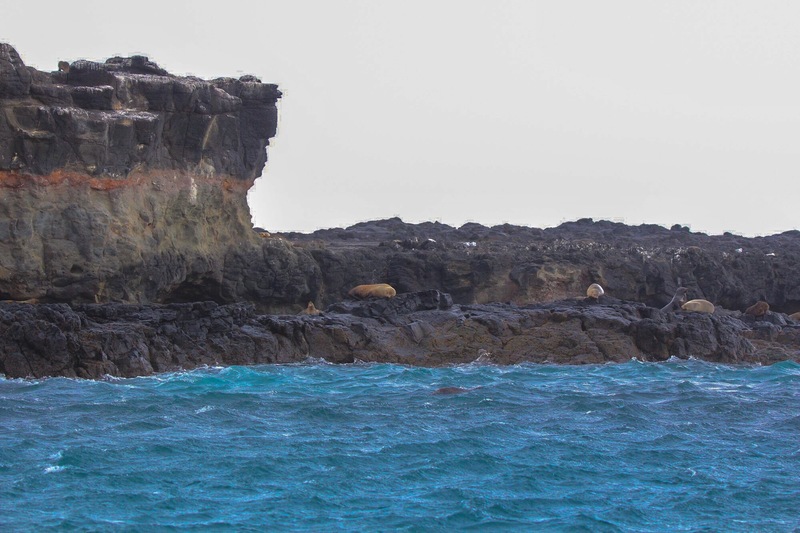 Hundreds of very curious seals were either frolicking in the water (mostly juveniles) within touching distance of the boat, or resting on the rocks (mostly adults). 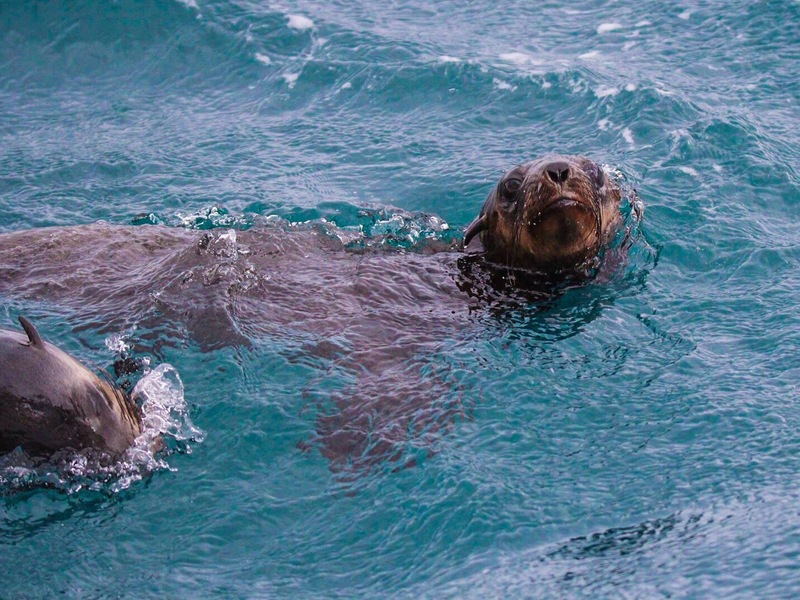 Thankfully the seas were less choppy here so it was a magnificent and memorable interaction between us and them. By now it was getting late, and we made a beeline back to San Remo over a hearty meal of sandwiches, leek soup, and bread rolls. Not surprisingly, not many passengers ate lunch on board for fear of losing it to Davy Jones. 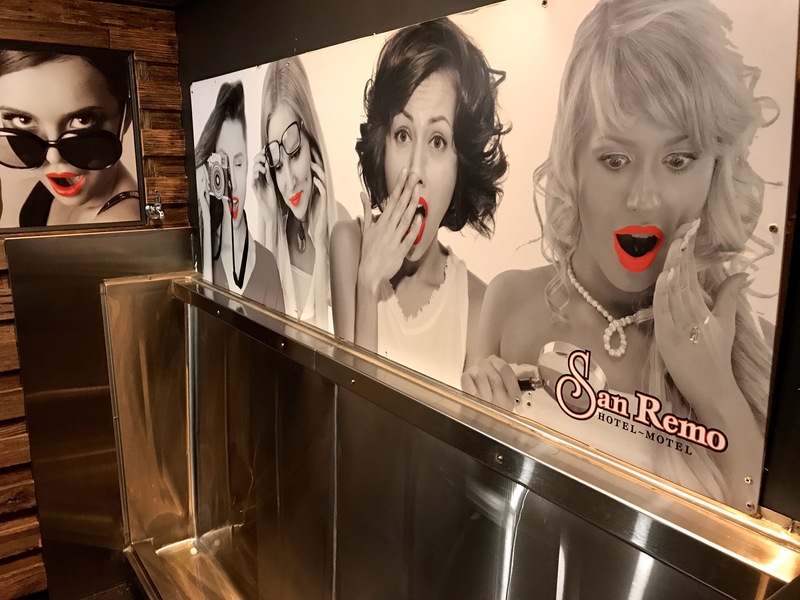 😀 We elected to eat at a local pub (one of the few eateries in San Remo that was open at 2pm on a Saturday afternoon), where I couldn’t help but notice the cheeky poster above the urinal. My blog post would normally end here, but not two minutes after leaving the pub, Imka asked “what big bird has a white head and grey body?”. “Hmm… a sea eagle is the only one that comes to mind” I replied. “Ok, well I just saw one”, she said. 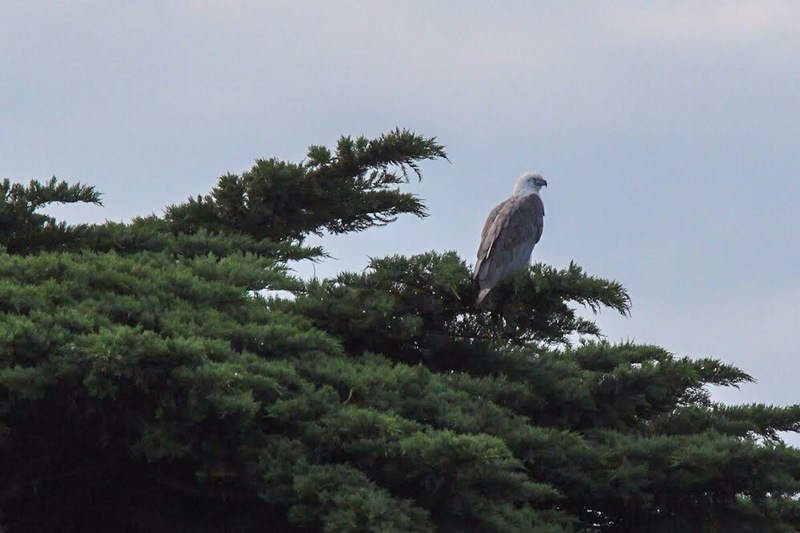 Naturally, I turned the car around, and amazingly, there was indeed a young White-bellied Sea Eagle still perched at the top of a tree looking out into the bay for his next meal – a most fitting way to end an enjoyable and memorable wildlife-spotting day-trip. What a great day out (despite the chilly conditions). 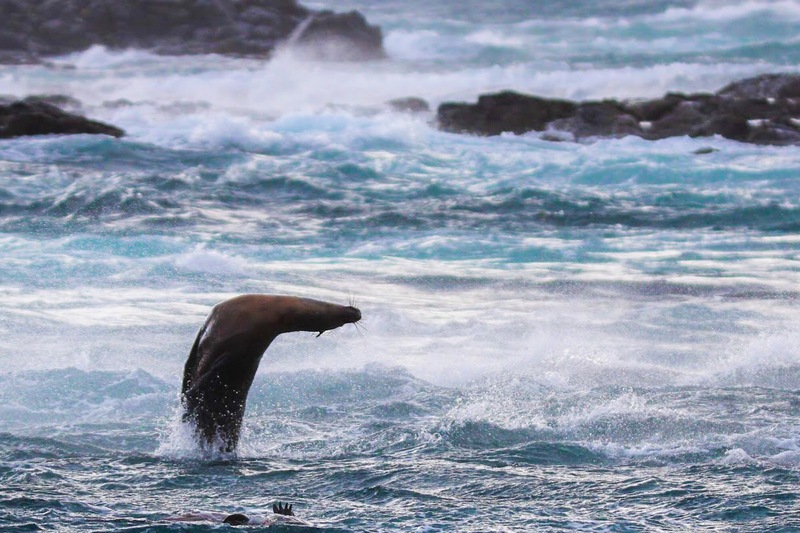 Awesome photos of the whale and seals and looks like interesting scenery of the granite cliffs around there. Thanks Sue! It was a great day out, and I highly recommend it to any nature lover. Great pics! Looks like a fantastic experience. Thanks, Sam! Yes, it was a great experience indeed – highly recommended! !